From left: Jesse, Sarah Fragoso, me and Jason Seib. Here are some interesting tidbits I jotted down at the Everyday Paleo workshop with Sarah Fragoso and Jason Seib this past weekend. I had heard some of these things before, but others were new. Either way, I thought I’d share 20 various knowledge bombs with you. This list could have gone further and actually, I tried to cap it at 10, then 15, but finally I just said screw it … I’m going for 20. It’s all about sharing the wealth and spreading the good word! 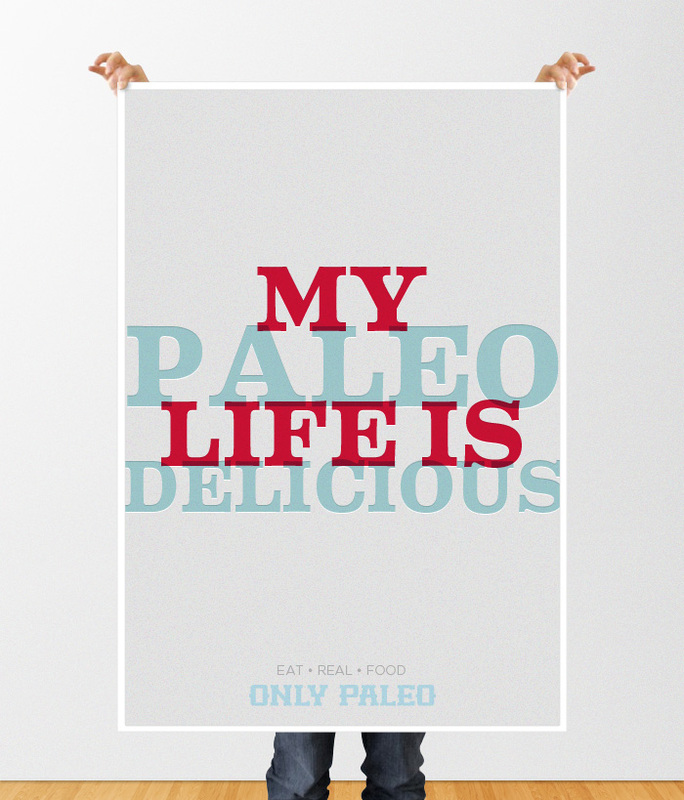 Paleo is a life plan. It is not a diet, it is not calorie restrictive. It is a lifestyle! During the first two weeks on paleo, people (especially those with high levels of systemic inflammation) experience what’s called, “low-carb flu.” People feel sick and lethargic during this time because the body wants glucose and is not tapping into fat stores yet (not fat-adapted). During this time, people sometimes revert back to eating carbs because they think it’s what their body needs. Tough it out and shortly after those first 10 – 14 days, the clouds will clear and you’ll start feeling better! But you have to tough it out and know that there’s a light at the end of the tunnel. (Photo credit: www.dietdiva.com) Don’t give in to that bowl of cereal when you’re experiencing the low-carb flu! This will soon pass and you will feel so much better! We are not predisposed by our genetics, but the foods we eat can increase our predisposition (i.e. eating foods that cause inflammation like grains, legumes, etc.). No other animals do a special diet. Humans are the only species that diet, and the majority of the time, it is not effective or people end up gaining back everything they lost and more. It can be argued that the original human diet is paleo. The Giant Panda (Photo credit: Wikipedia). Pandas don’t go on crash diets to fit into a dress for a wedding. They eat their natural diet, as should we! We don’t cure infectious diseases, and frankly, will never be able to (or at least it’s highly likely that we won’t). 70 – 80% of your immune system remains in your gut, and leaky gut is the root cause of every autoimmune disease that has ever been tracked back. Zonulin, a new drug that has not been approved yet, is purposely meant to give people leaky gut, so that other drugs (i.e. migraine drugs, etc.) are better absorbed. This is absolutely insane and if approved, many people are going to get hurt! Sadly, it will most likely be approved. We have not and never will evolve to eat grains. There is no such thing as an essential carbohydrate. We have to have essential fatty acids and essential amino acids, but again, there is no essential carbohydrate. Dairy is a growth promotor and promoting more cells increases the chances of something going wrong (i.e. cancer). Also, we are the only mammal known to drink another mammal’s milk. If you choose to eat dairy, opt for grass-fed and full-fat fermented products. Things like heavy cream and butter/ghee tend to be benign for a lot of people, but it’s all dependent on the individual. Grain-fed meat is pro-inflammatory. If you cannot afford grass-fed, pastured, organic meats and can only eat conventional, that’s still better than eating bread. Just opt for leaner cuts of meat in this case and increase your intake of fish oil. Toss the word willpower — it’s not necessary and goes along with diet! Again, this is a lifestyle and a way of eating for optimal health. It is not a diet! Grazing does not allow for metabolic flexibility. You don’t get to decide what your body does first when making lifestyle changes. Some people lose 5 lbs first, others stop having migraines or have an increase in energy. Everyone’s body responds differently to diet/fitness. You are going to make excuses if you’re not ready. The opposite of fat is HOT, not skinny! Hot is physically capable and healthy. You have to do something sustainable if you want to improve your health, get more attractive and reach this point (yes, that means diets are out!). If you fall off the wagon, get right back on! It’s always worth getting back on, otherwise you’ll never truly know what good health feels like. Why get your kids on board? It decreases the chances of health risks later in life, improves current health, improves behavior (this one is huge! ), and ends food battles. Get them involved and let them help in the kitchen — delegate responsibilities (i.e. mixing in the spices), give them kid kitchen tools, let them make choices, name that dish, etc. All these things get kids excited and teach them about their food! I don’t have kids right now, but when I do, I definitely plan to do these things. Lift heavy weights, especially ladies! Note: This video is not from the workshop I attended, but is from a previous Everyday Paleo workshop Jason and Sarah hosted. I loved reading this! Such great info! Definitely bookmarking this one. I especially like #20! I hate when I see girls coming into the gym and lifting such light weights I just want to run up to them and say NO YOU CAN LIFT HEAVIER! Awesome, I’m happy to hear it! It is definitely great info. I know, women are often afraid to lift heavier because they think they’ll get too bulky, but it’s SO good for us, and we won’t get bulky — it takes a lot of work, purpose and dedication to get bulky. Sure some women are more susceptible than others, but seriously, it doesn’t happen that easily. Thanks and I’m happy to hear it 😉 I’m glad you’re on board! Loved all the “knowledge bombs” in this post! I had to share! Awesome, glad you enjoyed it! Thanks for reposting and helping spread the word!